Nothing Like Everything All Tags Android Gionee strengthens customer connect with youthful, interactive and engaging activations! The New year has kick-started on a fresh note for Gionee India, country’s smartphone player which strengthened its pledge to add cheers amongst its core users, the youth. Keeping in mind this strong call Gionee India has initiated interesting engagement activities for target audience in collaboration with educational institutions. The brand kicked off a multi layered youth oriented initiative with leading Dyal Singh College in Delhi. 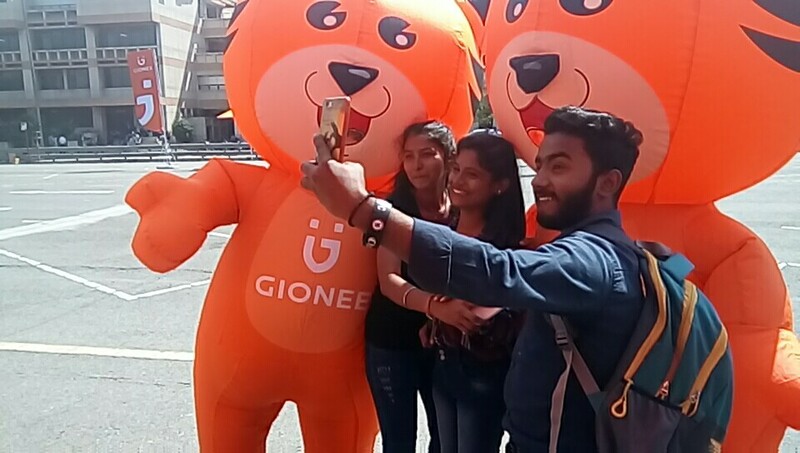 Keeping in sync with selfie+battery proposition Gionee India will continue to cater to the young audience providing them with enhanced smartphone features like enhanced camera function, full view display, versatile selfie modes accompanied with superior battery quality among others. The brand is enthusiastic and forthcoming about the upcoming participation and collaboration with educational institutions to consistently build the strong connect with its customer base.